And In This Corner... Death! By today's standards, and perhaps even those of a decade or two ago, the mid-1982 series Marvel Super Hero Contest of Champions comes across as formulaic in terms of what a comics reader could expect from a story that featured such a roundup of Marvel characters all gathered under one roof to confront an imminent threat. That assessment would certainly apply to any story that had the cosmic gamer known as the Grandmaster as its protagonist--who by his very nature needed no variation from the life-or-death contests that are his stock in trade. At this point in time, the Grandmaster had only approached Kang the Conqueror and the Prime Mover to coax into playing his high-stakes game; in this latest series, his opponent would be an enigmatic figure only referred to as the Unknown, whom sharp-eyed long-time readers are going to almost instantly recognize as the hooded representation of Death. From the dramatic layout of its first issue's cover, the scope of this story would appear to vastly differ from the Grandmaster's other two incursions involving humans, though the cover's wording is playing fast and loose with the story's premise. At first glance, it seems that the Grandmaster's human "players" will involve not just a few Avengers or Defenders, but "every single super hero on Earth--in the greatest battle of all! ", a bold caption which doesn't hold up to scrutiny. While every super hero on the planet is indeed present and accounted for, the contest itself pares down the actual contestants substantially, with only twenty-four heroes being chosen by both the Grandmaster and the Unknown to participate. As to whether the story presents the greatest battle of all, that would be debatable, even at its conclusion; regardless, this saga is hardly the three-issue free-for-all that its cover implies. Quite the opposite, in fact. ☑ It's the first of Marvel's titles to bear the "limited series" label--a format which would go on to be a popular seller, featuring a number of Marvel's characters in various stories that would often expand on events in their regular monthly titles. ☑ The nature of this gathering shows all the signs of being the precursor to Marvel Super Heroes Secret Wars, which would be published two years later--another series that had large groups of heroes whisked away from Earth, materializing in a "way station" in space, and confronted with a power that held their collective fate in its hands, a process that also presented different heroes meeting and working with each other for the first time. 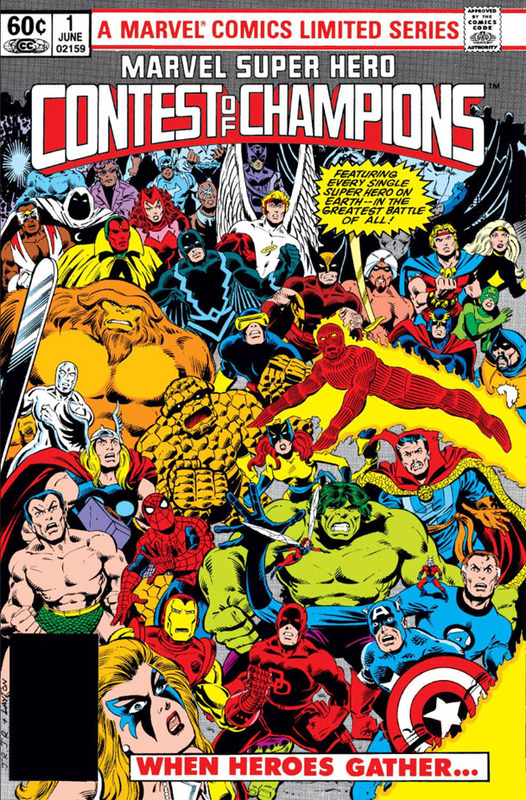 ☑ Collectively, the three issues feature a six-page compendium of every Marvel hero that exists to date--presumably spearheaded by Mark Gruenwald, who edited the project and would go on to serve the company as a virtual archivist of its characters, history, and continuity. 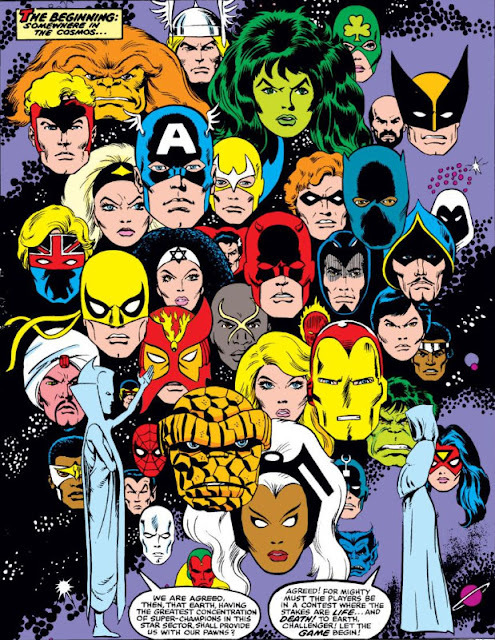 This listing has been referred to as the prototype of The Official Handbook of the Marvel Universe, a 15-issue series which would see its first issue published just six months later and would include a wide variety of Marvel's creations--villains and heroes alike, as well as other characters, entities, or aliens that were a part of Marvel stories. As for the story itself, there's little to surprise the reader that he or she hasn't seen replayed in half a dozen epics or crossover events where heroes gather en masse, though this series may well have inadvertently paved the way for those stories. Unfortunately, with the two-page spread in the center of its first issue, the series already plays its trump card when it features an impressive gathering of all the heroes assembled in the same chamber, followed by three or so pages of first-time meetings and touching base with a few major characters--and that would be that, as far as the bulk of this series' huge cast of characters is concerned. Given how whittled down the story becomes from that point, this three-issue mini-series could just as well have been adapted to an Annual or a What If story, though it seems clear the company's intent was to reach a wider audience with a stand-alone title. But let's explore what we have--as we begin with our two protagonists, who set the stage for what's to come. 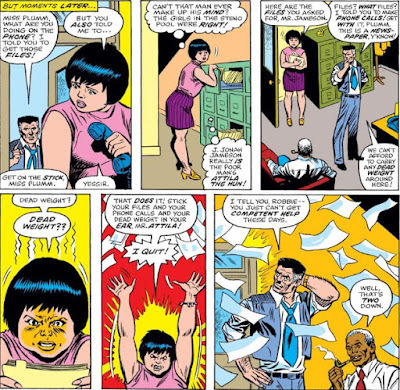 While it's true that the marriage between Betty Brant (stalwart secretary to "Daily Bugle" publisher J. Jonah Jameson) and Ned Leeds (one of Jameson's top reporters) had its ups and downs before finally coming to a tragic end, their wedding day did open the door to a priceless period of comic relief--the search for Betty's replacement at the Bugle. Heaven only knows how Betty managed to weather the wildly shifting moods and temperament of a boss like Jameson during her years as his secretary--but the fact that she did so for so long without the need for a flak jacket and a healthy supply of Xanax made her irreplaceable. A description which, unfortunately, didn't hold true for her replacement(s). Jameson's "wedding present" to the happy couple was to send them to Paris for their honeymoon, where Ned would assume a new post as the Bugle's foreign correspondent in the country. That meant filling Betty's now vacant post outside of Jameson's office, though it seems Betty was negligent in taking care of this not-so-small detail before her departure. (Negligent, or sadistic, depending on one's point of view.) You've probably heard employers speak of "breaking in a new secretary," though it's generally used as a trite expression since these matters tend to simply mark a period of adjustment for both the new employee and their boss; but you can probably guess that Jameson sets a new standard in this regard, with it never being quite clear which of the two combatants people is making the greater adjustment. Picture the last moments of a typical Ultimate Fighter match, with Jameson being the one left standing, and you have an idea of what our poor candidates are up against. And so, the search begins! Who will fill Betty's shoes--and survive?? THE ODDS: Peter does a fair job of making the call. SMART MONEY: Pringle is capable. Courteous. Accommodating. She'll fold like a tent. THE ODDS: Plumm has been prepped by the girls in the Steno pool. Knows what she's getting into. SMART MONEY: There's a reason you rarely see a tense stenographer. THE ODDS: Primm runs a tight ship when it comes to her office--or her employer. SMART MONEY: Close, but no cigar. THE ODDS: Seeing your predecessor flee the premises in tears is never a good sign. SMART MONEY: Glory is to people skills as JJJ is to irascibility. DING DING DING--We have a winnah! If you're a fan of Timely's Golden Age comics, you may remember the "sidekicks' sidekicks," as I find myself calling them--originally part of the Sentinels of Liberty club, but soon becoming known as the Young Allies, pals of Captain America's partner, Bucky, who went on to fight the Nazis in their own title in 1941 and joined by the Human Torch's young partner, Toro. 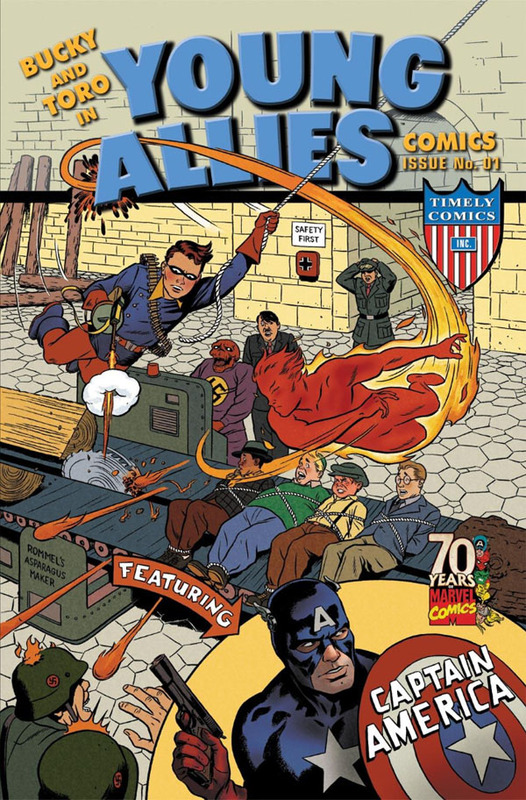 Over a five-year period, twenty issues of Young Allies were produced before ceasing publication in late 1946--with the youthful group of patriots fading from sight afterward, as many of their Golden Age counterparts did, though Captain America and even the Red Skull would migrate to Marvel Comics and enjoy renewed exposure well after World War II. Yet nearly seventy years later, writer Roger Stern digs into those past adventures and brings the Young Allies back in a tale that revisits their brief exploits for the uninitiated while also folding them into a memorable, modern-day story that would make a splendid Veterans Day tribute. The Young Allies were very much products of their time--ordinary kids in wartime America who, thanks to the exaggerated format of the comics medium of the day, stumbled their way into defeating the plans of the Nazis and taking on the likes of the Red Skull and even Adolf Hitler (with both Bucky and Toro pulling their friends' fat out of the fire on more than one occasion, if the issues' covers are any indication). But the Allies' demographic was unmistakable, with no doubt many kids on the cusp of becoming teenagers vicariously indulging their fervor to join the war effort by flipping the pages and seeing what fiendish plot the Allies were determined to foil. But before you go committing their names to memory, you may wish to wait a bit while this story unfolds, and learn just how tied to their comic book the "Young Allies" really were. While the transition between the end of Roy Thomas's long run on The Avengers and the beginning of Steve Englehart's was fairly smooth, the two subplots still unresolved in the hand-off to Englehart might have left you with the impression that the dust was still settling, even as Englehart was gearing up for his first major storyline in the book. The first point of unfinished business involved the search for the absent Quicksilver, missing since the Avengers' climactic battle with the Sentinels in Australia. Given that Thomas had already folded Quicksilver into his plans for Fantastic Four, any loose ends for the character in The Avengers became more of a nuisance plot that sent the team following false leads and had them connecting any unusual report that came their way with Pietro's disappearance. "A group of strange men appeared out of nowhere, and kidnapped three scientists, before anyone could stop them!" "Could be what happened to Pietro!" Talk about grasping at straws. There was also the plot involving the Grim Reaper, who had approached the Vision with an offer to transplant the Vision's mind into the body of the dead Wonder Man and restore that body to life. When the Vision outright refuses, the Reaper leaves the door open by giving him an amulet as a way of contacting him should he reconsider. The fascinating part of such a plot isn't so much as what might come of this meeting, but the fact that the Vision has left the offer on the table, so to speak, by keeping the amulet. And that ambivalence hangs in the air of Avengers Mansion with virtually every scene the Vision is in. 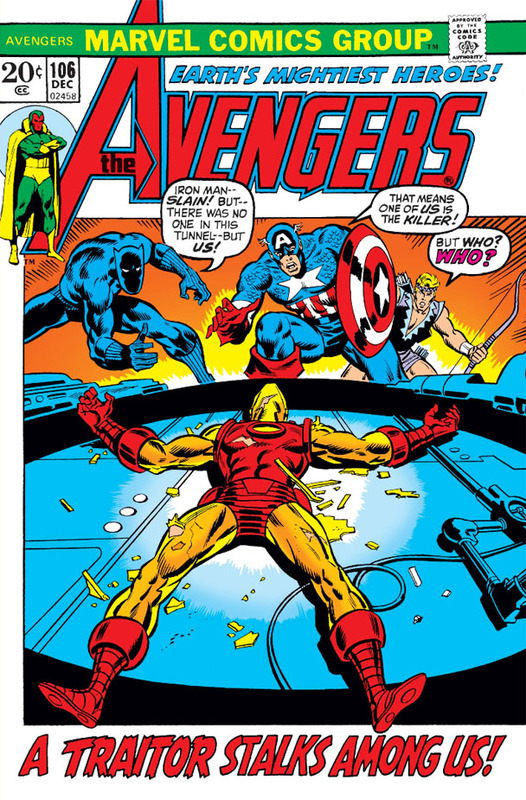 Yet with the return of Captain America to the book--following his own tense storyline where he encountered his stand-in from the 1950s--there's reason to believe that the Avengers are back on track and ready for Englehart's fresh take on them. But before things settle down, Cap will have to deal with a more recent mystery from his past--while the rest of the Avengers find themselves facing not only the Grim Reaper, but also the return of a deadly foe who dates back nearly a decade. The Plan and the Peril! 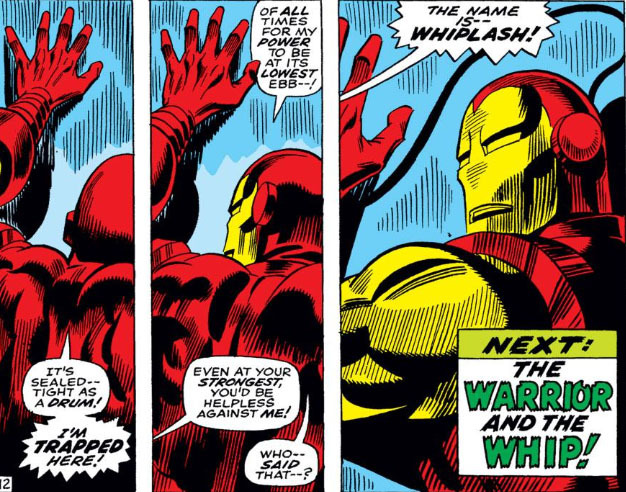 In the first meeting between Iron Man and the man known as Whiplash, Iron Man was for all intents and purposes little more than a living target--his power nearly depleted from an earlier battle and unable to make use of his strength or his weapons. Nor was his armor proving resilient enough to stand up to his foe's steel-rending whip. Iron Man only survived that meeting by rerouting power reserved for his injured heart, in one desperate strike which left him as incapacitated as Whiplash. 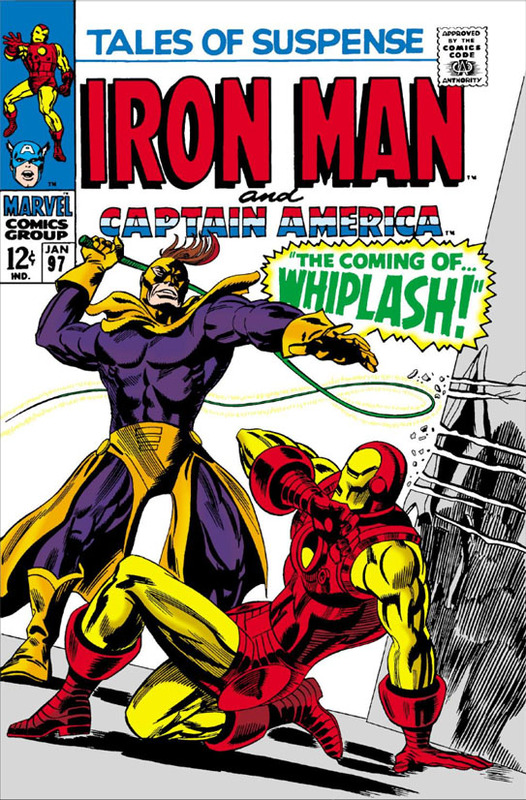 Since then, Whiplash has moved on from his association with the criminal organization known as the Maggia, but has meticulously been planning his revenge against Iron Man right under the nose of Tony Stark--positioning himself in Stark Industries' Cincinnati plant and waiting for the moment when the paths of both himself and Iron Man would cross. That moment arrives when Stark and his executive assistant, Pepper Potts, arrive for an inspection of a project under development by the plant's manager, Vicki Snow, as well as the plant's head of Research, Mark Scott (a/k/a Mark Scarlotti)--a man we know better as Whiplash himself. It seems a lot of trouble and effort for Whiplash to go through in order to put in place this revenge plot of his. For one thing, he didn't do too badly against Iron Man in their last meeting, with the Avenger virtually at his mercy; and after Whiplash regained consciousness following Iron Man's desperate attack, it was the Maggia's leader, the Big M, who prevented him from finishing Iron Man then and there. It would seem that a man like Scott would have better things to do than fume about that outcome and be so consumed with thoughts of revenge. There's also one other oddity along these lines in writer Mike Friedrich's story, which we'll get to in a moment. 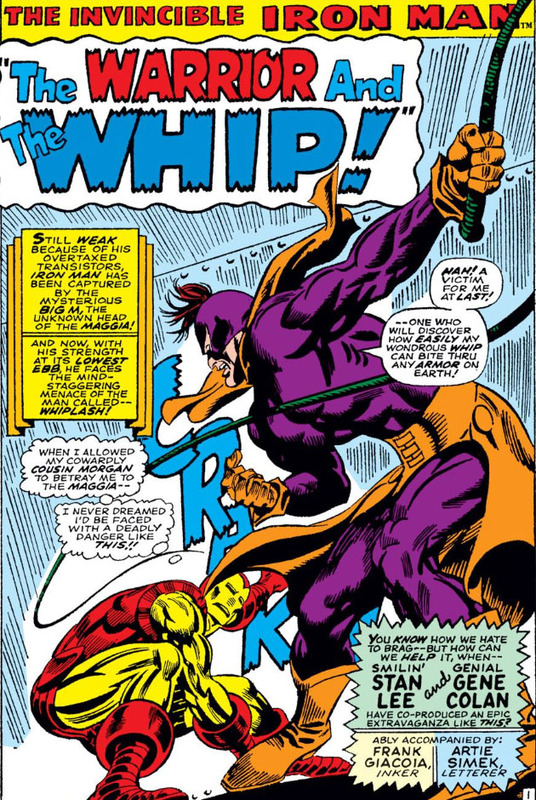 For now, we at least have a decent battle to look forward to between Whiplash and Iron Man, since it would be absurd to once again find Iron Man too debilitated to put up a fight. 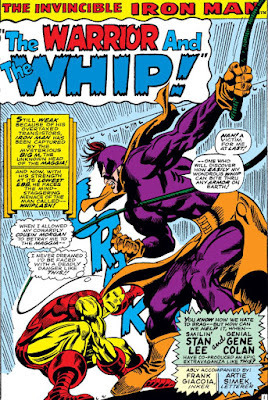 That means that Whiplash will have to have some sort of defense against Iron Man's powers other than a single weapon, since he has no strength or invulnerability to speak of. As we'll see, Friedrich will give him a hand in that respect (or in this case, two); but it appears he's also made Whiplash quite the electronics expert since his last appearance, which means he'll have a few surprises for Iron Man. Of course, his whip remains formidable, and there's no disputing the man's skill. The Slashing Assault of... Whiplash! 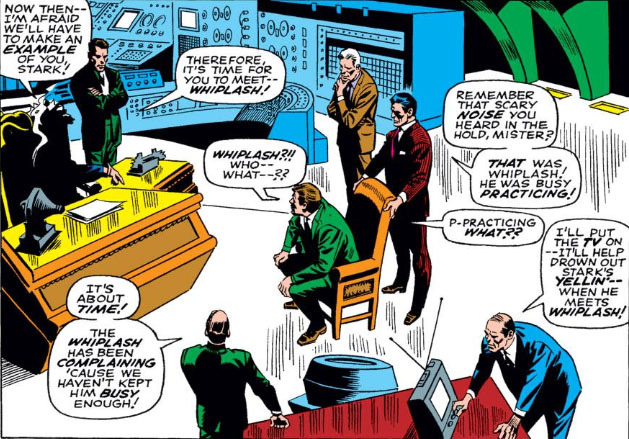 When we first meet him, the villain known as Whiplash is in the employ of the criminal organization known as the Maggia, under the leadership of (I swear I'm not making this up) the "Big M," whose name no doubt struck terror into the hearts of, well, a lot of people. It's surprising we never saw any sort of rivalry between the Big M and the Big Man, another crime boss who had (what else?) big ambitions of his own as far as muscling his way into heading the crime syndicate. Who, indeed, would have proven to be (yes, I'll say it) the bigger man?? "Fool! I'm bigger than you!" "Wrong, clod! I'm bigger than YOU!" "Preposterous! I'm WAY bigger than..."
But Whiplash is on the way to forging a reputation of his own--especially where Tony Stark's no-good cousin, Morgan, is concerned. Because Whiplash gets quite the build-up in his premiere story, when Morgan's sizable gambling debt brings him to the Big M's attention and Morgan seems to be in line for a whipping, if you catch my drift. But Morgan's in luck, when news reports broadcast the plight of the disabled Iron Man following his battle with the Grey Gargoyle--and Morgan, seeing the interest of the Big M and his associates wishing to take advantage of Iron Man's helplessness, offers to deliver the Avenger to their waiting hands in exchange for cancelling his gambling debt. Nick Fury later describes Morgan as "a full-time, yella-bellied heel who'd sell out his own gran'ma for a set of bottle tops"--and while Morgan's S.H.I.E.L.D. file probably puts his description a little more tactfully, it seems clear a little session with Whiplash would be just what Morgan deserves. Unfortunately, it appears Iron Man is due to take his place, as Morgan and the Big M's men successfully slip him away from the scene of his fall and return with him to the Big M's underwater vessel, docked underneath his gambling yacht. 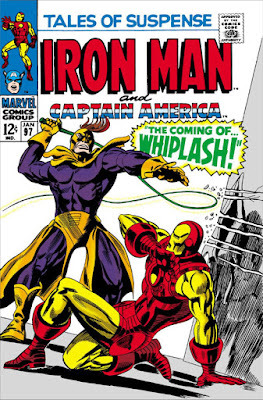 Since this story takes place during Iron Man's feature in Tales Of Suspense, you may have already guessed that his confrontation with Whiplash will be yet another battle when Iron Man is far from his fighting peak--though for Whiplash, whose slashing weapon can shred steel like paper, it doesn't seem like he would care one way or the other. 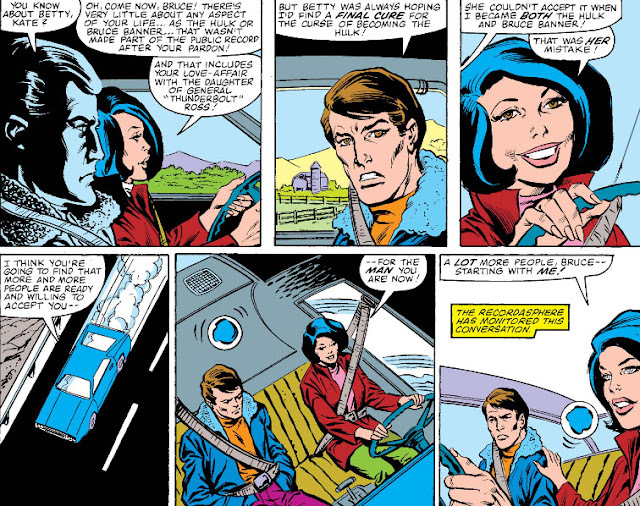 Before writer Steve Englehart's run on Fantastic Four went south and he found himself in disagreement over editorial decisions, he was taking the team in an interesting direction: forming a brand new lineup, replacing Mr. Fantastic and the Invisible Woman with two other characters while moving up the Thing as team leader. One of the replacements had found herself in such a role before--Crystal, one of the Inhumans and former girlfriend of the Human Torch, who had filled in for Sue Richards during her pregnancy. But who would be the fourth new member? 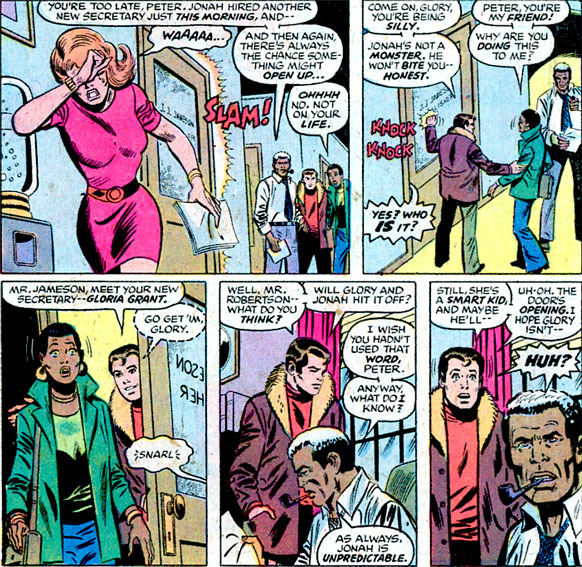 Rather than bring back another former team member, such as Luke Cage or the She-Hulk, Englehart made a surprising choice by drafting a virtual unknown, one who had been dormant since her brief appearance in 1986. 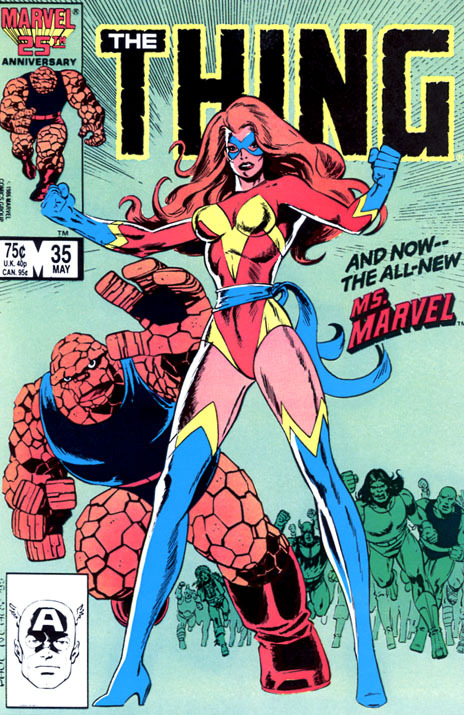 Around the time that Carol Danvers was off in space as Binary, a new Ms. Marvel was being introduced in the penultimate issue of The Thing. Created by writer Mike Carlin and artists Paul Neary and Sam de la Rosa, we see her come to life when Sharon Ventura--a friend of Ben Grimm, who's spending time away from the Fantastic Four and active on the Unlimited Class Wrestling Federation circuit--avails herself of the services of Curtiss Jackson (remember him? ), the so-called "Power Broker," whose treatments have been augmenting the strength of the UCWF's wrestlers. Unknown to Sharon, the scientist behind these treatments is none other than Karl Malus, who, like Jonas Harrow, specializes in enhancements of super-humans (for a fee) and whose questionable methods lean more toward experimentation than proven technique. Unlike the Broker's other subjects, Sharon undergoes the treatment but escapes before a drug is administered that would addict her chemically and bind her to Jackson. On the verge of being recaptured, Sharon is rescued by both the Thing and an army officer, Lt. Lynch, who had previously stepped in when she was being mugged. (He seems to be underfoot, doesn't he?) While Ben cleans up the opposition, Lynch and Sharon head to the UCWF hotel, where one of the UCWF's recruiters, Ann Fraley (known as "Auntie Freeze" in her wrestling days) has a costume waiting for when Sharon would return from her treatment. Presumably it's a new wrestling costume for Sharon--but given this issue's cover, it's clear that it would have more significance for the character. And when Sharon suits up, the pieces are put in place to give her an identity that will take her far beyond the wrestling ring. The Cold Grip of The Vision! 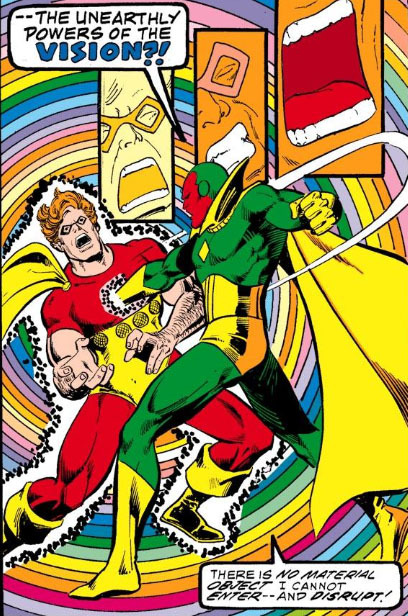 As most of us know, the Vision--an android with powers of intangibility as well as control over his mass and density--also possesses a rather devastating ability that gives him quite an advantage in a fight against even the most determined (or, in some cases, overconfident) foe: the power to drop a man where he stands. Yet it took some time for this ability to develop into the technique we're familiar with today; in fact, at times there seemed to be doubt as to whether we would continue to see it used at all. The Vision was already a powerful asset to the Avengers; this would make him practically invincible, depending on how vulnerable his opponent is to the use of his power in this manner. If he's successfully dealing with powerhouses like Hyperion, his writers would have to be very creative about how often the character would deploy this power, and under what circumstances. What was the evolution of the Vision's power of "disruption"? The Mystery That Wouldn't Die! OR: "Because You Never Really Demanded It!" 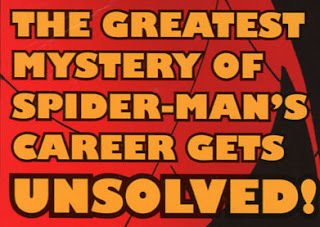 After the conclusion of the winding, four-year saga that teased the mysterious identity of the Hobgoblin in the pages of Amazing Spider-Man, we learned at last that the Hobgoblin was in fact "Daily Bugle" reporter Ned Leeds--a shocking revelation which put an end to years of speculation by the book's readers, as well as years of internal strife in the Marvel Bullpen that resulted in a virtual revolving door of writers and editors on the book. When the dust settled, it seemed we'd seen the last of the Hobgoblin--that is, until almost ten years later, when the character's original writer, Roger Stern, decided to revisit the story and turn the saga's finale on its ear. The result is the 1997 three-issue series, Spider-Man: Hobgoblin Lives, where Stern makes an honest effort to bring about the revelation he'd intended for the character, though in the process he must dismantle or otherwise take into account all the pieces put in place by the different writers and editors who assumed responsibility for the mystery in his wake. Since this new story hit the racks twenty years ago, I don't happen to recall if there was any outcry by readers for the Hobgoblin's return or if anyone wanted to revisit the tangled mess of his identity; the Hobgoblin, after all, didn't have the complexity of Norman Osborn, nor Osborn's connection to Peter Parker's own secret identity--and that would hold true for the identity established for the character in either 1987 or in Stern's revised tale. 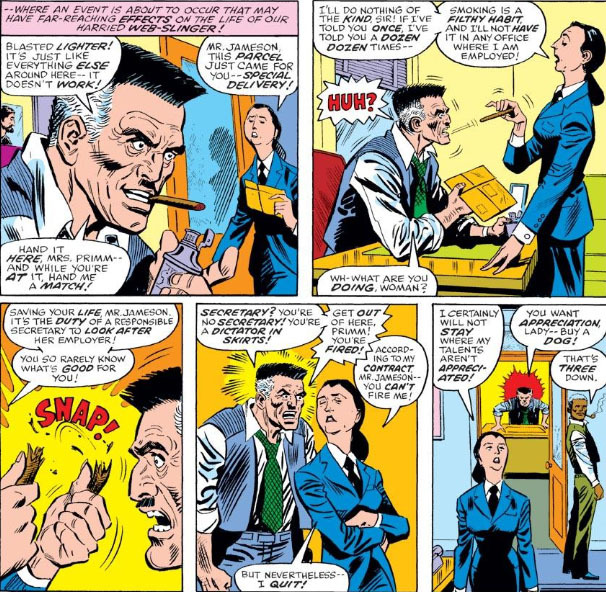 Aside from his modus operandi and bag of tricks being similar to the Green Goblin's, the Hobgoblin was more of a substitute character for his predecessor who seemed to conduct his affairs from the hip, a reflection of having a number of writers handle him and his true identity remaining unknown for so long. There's also the nagging observation that when his identity is revealed, in either version of his story, it really makes no difference one way or the other as far as moving this character to the A-list. But Stern's reputation as a writer carries a lot of weight with me, and perhaps for those readers in '97 who remembered his work at Marvel and were seldom disappointed by his efforts. For what it's worth, that holds true here, as well--though whether the Hobgoblin is a character you want to see Stern spending his time on is perhaps debatable. In blog form, we have the luxury of picking up this story on the heels of its ending ten years prior--and if the theme of this new story holds any initial interest, it mostly lies in the how all the pieces of the prior saga will be sorted out, reshuffled, and pieced back together in a way that's both intriguing and satisfying, while hopefully elevating the Hobgoblin as a character in the process. The Hobgoblin would get a new lease on life a year and a half later, in the "Goblins At The Gate" storyline in Spectacular Spider-Man--where Stern and co-plotter Glenn Greenberg reintroduce Osborn and tie in the Hobgoblin, thereby providing the latter with excellent exposure that could raise his profile with readers and establish him as a force in his own right. For that to work, Stern in this story will need to establish a formidable identity for the Hobgoblin, one who can not only go up against the likes of Norman Osborn but also establish an impression on readers that, in their eyes, makes this character one worth bringing back. Or, put another way: Arrgh! The Prolonged, Tortuous Saga of... The Hobgoblin! Whatever your feelings about how the mystery of the Hobgoblin's true identity was handled, the consensus appears to be that the mystery simply went on too long, mostly for the reasons that SMM mentions. 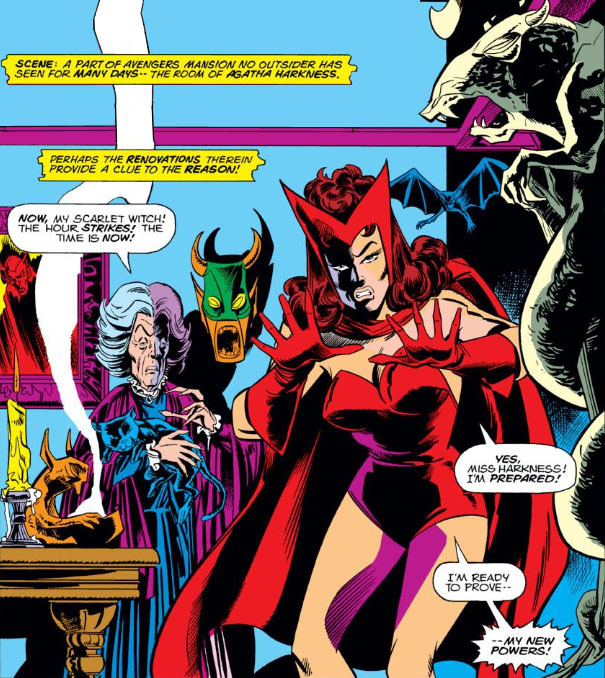 The character's creator, Roger Stern, has stated that he wanted to handle the Hobgoblin's identity in much the same way as the mystery of the Green Goblin's identity unfolded. To say that the situation veered wildly off that course is an understatement. 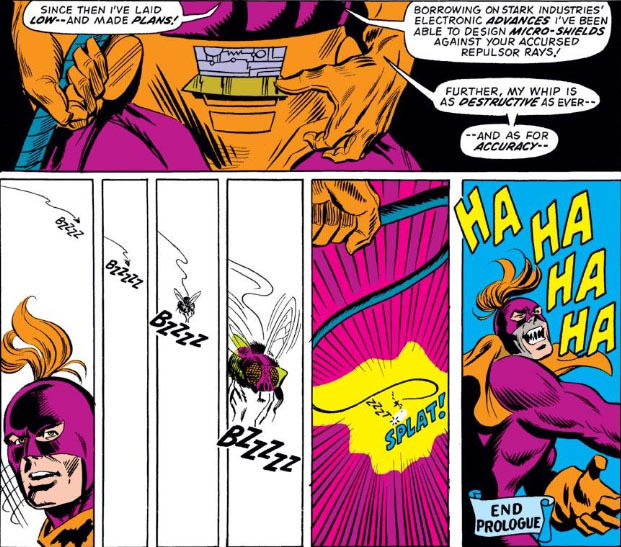 When all was said and done, the story of the Hobgoblin's identity would play out over a fourteen-year period and involve no less than six ASM editors (Tom DeFalco, Danny Fingeroth, Jim Owsley, Jim Salicrup, Glenn Greenberg, and Tom Brevoort), two Editors-in-Chief (Jim Shooter and Bob Harras), and five writers (Stern, Tom DeFalco, Jim Owsley, Peter David, and Jo Duffy), and take place in the midst of considerable upheaval behind the scenes and more than a few bruised feelings in the Marvel offices that coincided with all the shuffling of talent. Reading the storyline when these issues were originally published, I was probably as curious as anyone about the answer to the mystery--though if we're to believe the letters pages that presented feedback from what appeared to be countless readers who were eager to offer their own guesses as to who the Hobgoblin really was, my interest was only a fraction of those who were seemingly waiting with bated breath for the big reveal. Yet the departure of Stern from the title, after writing only three stories featuring the character, would derail that train for all of us, as well as shatter whatever consistency and intentions he might have had for how the plot would be resolved. Personally, I found the Hobgoblin an interesting character in his own right, with his anonymity perhaps playing a part in that appeal; but the issue of his identity became the character's major focus, and eventually it all spiraled out of control and resulted in a denouement that felt both rushed and anti-climactic. Rather than go into lengthy detail on the subject, consider this post to be the CliffsNotes version of this zig-zag subplot, as the PPC takes a stab at covering this period of Amazing Spider-Man that hopefully breaks it down for you in a way that makes it both fun and informative. 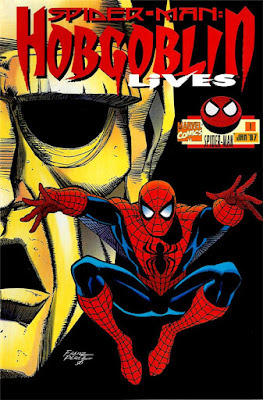 The information will be confined to events occurring in ASM rather than including any Hobgoblin appearances in either Spectacular Spider-Man or Web of Spider-Man, otherwise we'd be here all day; but we'll cover all the bases, though at the end we'll find that we've got a double header on our hands. If you're not counting his origin story in the 1964 Fantastic Four Annual, the first book to feature the character of Doctor Doom in his own story would have been an issue of Marvel Super-Heroes 4½ years later--a very generous 24 pages of material that in hindsight would have made a splendid issue of Super-Villain Team-Up, though that mag was still six years away. (What's Doom doing in a book called "Marvel Super-Heroes," anyway?) 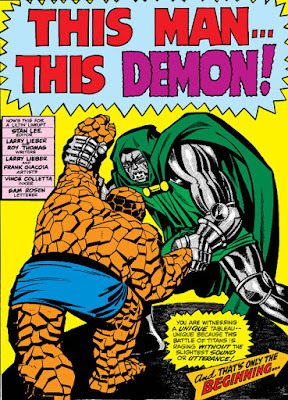 The story was a dual effort by both its writing and artist team; Larry Lieber (brother of Stan Lee) reportedly scripted and pencilled roughly the first half of the story, handing off the remaining pages to Roy Thomas while Frank Giacoia finished the pencilling work. Yet you might be surprised at how seamlessly it all reads. And it was a rather surprising story to find on the shelves, given Doom's history as a guest-star in Fantastic Four and other titles--a story that, for the first time, would test Doom's star power with readers outside of the context of his being a menace to overcome. Yet "This Man... This Demon!" doesn't really come across as a tale meant to gauge reader interest in seeing the character branch out on his own--though all the stops appear to be pulled out for his appearance here, with both Lieber and Thomas sparing no effort in crafting an interesting and entertaining story that takes into account Doom's manner and complexities. 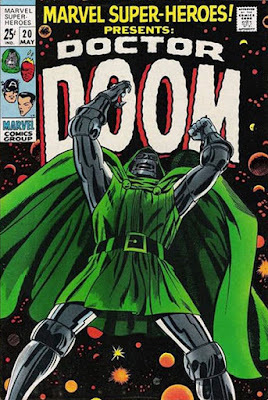 By now Doom has made enough of an impact with readers that it would be a misstep to simply "phone in" a feature story for him that only sought to coast on his popularity; fortunately, the story in MS-H meets the high standards we've come to expect with a character of Doom's caliber. And with a tale that's actually starring a villain, there's arguably no better character that deserves a shot at a cover of his own. As something of a bonus, the story also features Diablo, a villain whose history as a deadly menace dates back to well before Doom's own. Their conflict arises when Diablo attempts to forge an alliance between the two--and when Doom declines, Diablo provides incentive that has roots in Doom's very beginnings. What leverage could Diablo possibly possess that would force a man such as Doom to capitulate? The last time we looked in on the Scarlet Witch, she had accepted Agatha Harkness's offer to tutor her in the art of witchcraft, in the hope of becoming more capable in the use of her unpredictable hex power which drains her stamina and limits her effectiveness as an Avenger. Miss Harkness has already helped Wanda draw on her deeper reserves of strength, a lesson learned most vividly as Wanda succeeded in repelling an attack on the two women by the demon-servant known as Necrodamus. And when the Avengers were once again drawn into the schemes of Kang the Conqueror, Wanda demonstrated her dramatic new potential in the field, helping to put an end to Kang at least for the, er, time being. But private tutoring or not, life goes on, and so must the Avengers. 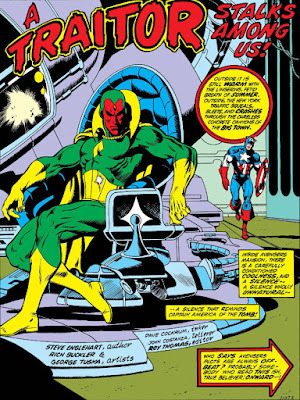 And while Miss Harkness and her pupil have sequestered themselves in a room in Avengers Mansion in order to continue Wanda's training, the other Avengers have travelled to Viet Nam to further investigate the origin of their guest, Mantis--only to fall victim to the revenge of Kang, who this time resurrects a number of dead beings to face the Avengers as the Legion of the Unliving. Yet the Avengers survive the assault--and while in Limbo, the enigmatic Immortus offers to provide them with information on the origins of both Mantis and their fellow Avenger, the Vision, by sending them on time-travelling journeys that provide greater context to the information they seek. 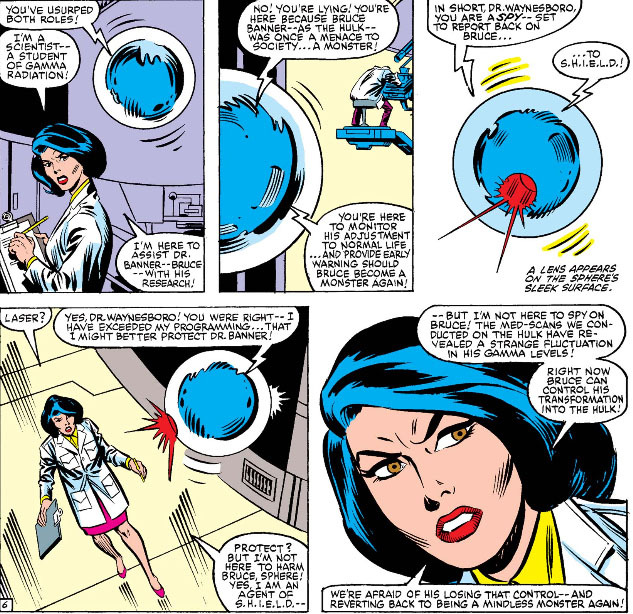 But Wanda and Miss Harkness have not been idle--and soon enough, Wanda is ready for her first "trial run," a practical test that will see her exercise her power in a more disciplined manner and, for the first time, allow her the chance to do so with a measure of control. *gulp! * She's not pointing at us, is she?? With all the A.I. 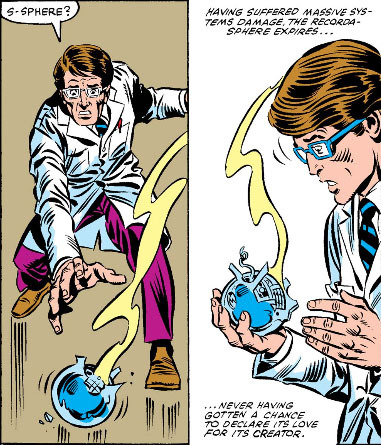 devices in comics that have run amok in one way or another, you'd think that Marvel characters would take a few precautions in their blueprints, especially when they're designing breakthrough technology. Take Bruce Banner, for example. Many scientists who want to keep a record of their studies or research progress keep a journal, or make recordings, or have an assistant taking notes--but while the solitary Banner prefers his research to be documented by a recording device, he also feels it should have a mind of its own. 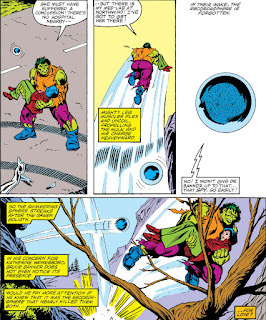 There would probably be any number of assistants lining up with notebooks in hand who would jump at the chance to work alongside Bruce Banner if only to document his research--but clearly Banner prefers to dictate to a hovering, interactive recording assistant that conforms to his specifications. And if loneliness was his primary motivation for giving it artificial intelligence, I don't think I want to know what other specifications he's programmed into this thing, if you catch my drift. And so the "recordasphere" remains content in its interaction with and service to Banner--that is, until the arrival of Katherine Waynesboro, a research assistant recommended by S.H.I.E.L.D. If you hear the acronym "S.H.I.E.L.D." mentioned in any context, it often doesn't bode well; indeed, where the recordasphere is concerned, Dr. Waynesboro's addition to the team isn't exactly a welcome one. Especially considering that we now discover the recordasphere has had a certain pronoun attached to it. Further tremors of discontent are to come, and soon, as Dr. Waynesboro becomes a sympathetic figure in the book who certainly isn't the first woman to become attracted to a man like Banner, a tragic scientist who practically cries out for sympathy and support at the circumstances of his life. 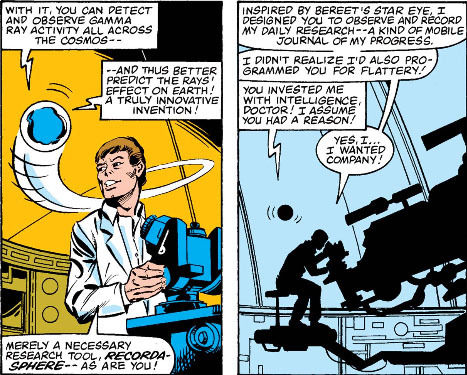 Unfortunately, Dr. Waynesboro isn't the only figure at the observatory that wishes to provide those services to Banner. We see that the recordasphere has not only dropped the formalities with her--eh, its--creator, but also is obviously now obsessed with perceiving their relationship association as exclusive. Racing off undetected and breaking in to Waynesboro's quarters in search of anything suspicious, the recordasphere uncovers a holographic log that appears to implicate her in being planted at the observatory by SHIELD as a spy. 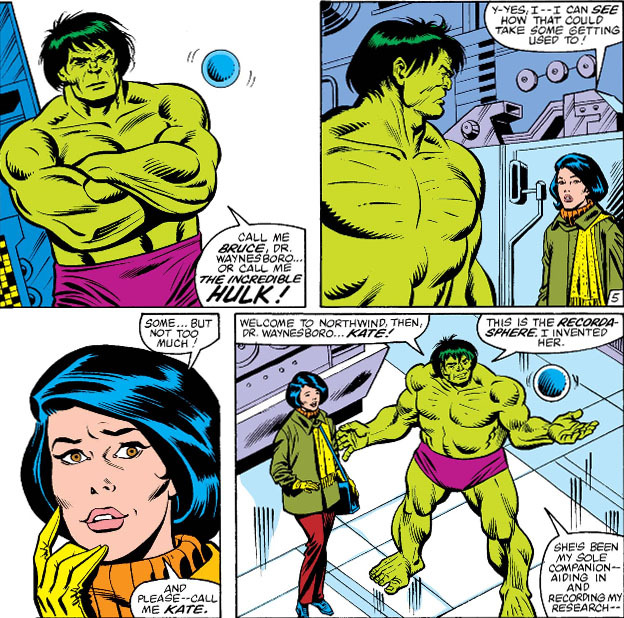 Yet the recordasphere decides to withhold what it's uncovered, believing that Banner distrusts Waynesboro (because of how negatively she feels about the Hulk) and that Banner might come to the point of dismissing her on his own. But when Waynesboro displays obvious intentions of growing closer to Banner--perhaps, to the recordasphere's way of thinking, in an effort to fulfill her "mission"--all bets are off for the recordasphere as far as its decision to remain a passive observer and bide its time. And Waynesboro becomes upgraded from merely a "rival" to a fatality. Luckily, Waynesboro has only been badly shaken up by the experience but otherwise unharmed--with the end result being that Banner has come to realize how strongly he feels about her, and now returns her feelings for him more demonstrably. From there, we can make a reasonable guess as to how things are going to go from here. In any soap opera, there is the inevitable confrontation between two rivals for a man's affections, with usually both women knowing it's time to put their cards on the table. The difference here is that, for one thing, only one of these rivals is a woman (not to mention a human)--but also, there's one of them who doesn't realize that she even has a rival. Unfortunately, Waynesboro has just confirmed exactly what the recordasphere had accused her of, even though the phrasing of her reply was intended as a denial. She's definitely "spying" on Banner for SHIELD--and it's due to SHIELD's concern that Banner might revert to the monster he was before he gained control of the Hulk. Only the recordasphere appears to realize her slip-up--but chances are that this conversation would have escalated regardless, given the admission that the recordasphere now blurts out. Fortunately for Waynesboro, the recordasphere's moments are numbered--thanks to M.O.D.O.K. 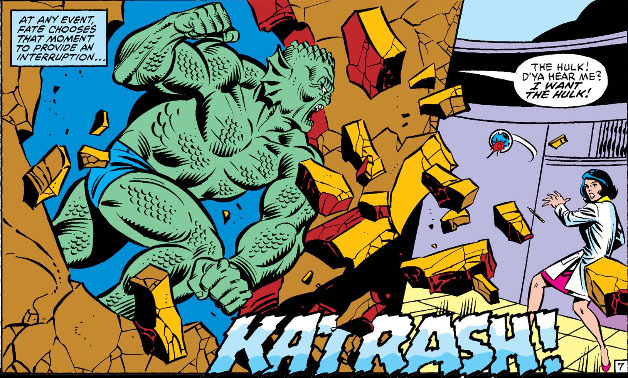 (another acronym that usually implies trouble), who has unleashed the Abomination on the Hulk. 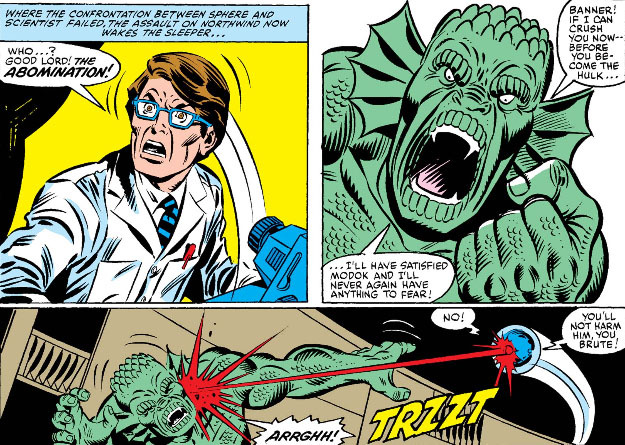 Banner would normally make for an easy target for this creature who would prefer not to get another pounding from the Hulk--but the recordasphere defends its creator (Banner even armed this thing?) and pays the price. Uh, Dr. Banner? Why the forlorn look over a device you can easily rebuild? Well, some kazillionaires are just going to blunder ahead anyway, aren't they.